Terrafirma is delighted to reveal the most advanced CON29M yet, available from the 2nd April 2019. In July 2018, Terrafirma became the first non-public body to be licensed to produce an official CON29M and over the past year, our experts have been working hard to push the boundaries of what is possible within a CON29M Coal Mining Report. We are proud to announce an update to our existing CON29M, that reaches a new level of due diligence and efficiency, continuing to change the way in which property professionals across the UK approach coal mining activity. The inclusion of our popular UserKey, currently used in our Ground Report. The UserKey clearly highlights who within the transaction needs to take action, so the conveyancer no longer has to use their own judgement in deciding what gets reported to whom. Will Coal Mining impact the value of the property? Are there adverse mining features that should be brought to the lender’s attention? Are there mining hazards that should be brought to the purchaser’s attention? Our loss of value insurance has increased to £100,000 and covering any subsequent changes in Coal Authority data. Speeds up the transaction and increases efficiencies: the conveyancer no longer has to liaise with their client to request additional funds, no need to exchange correspondence with the other side, and no reason to report to the lender except for less than 1% of cases where there is a serious problem. The overall pass rate is increased to over 99%. Saves the purchaser £148 when a mine entry is found within 20m. Does the mine entry pose a significant risk of ground instability? Does the mine entry ZOI extend beneath the building footprint? Does the mine entry ZOI extend beneath the property boundary? Our Mine Entry Interpretive Report will also be supported by our £100,000 loss of value policy, unlike any other Mine Entry Interpretive Report on the market. We are committed to positively changing the game, and by doing so we have sped up the conveyancing process and given the law firm and the purchaser more information and cover than ever before. The next time the other side requests a Mine Entry Interpretive Report, ask them one simple question: Why not Terrafirma? 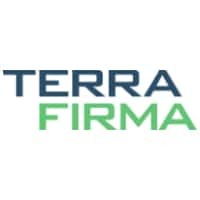 For more information please contact info@terrafirmasearch.co.uk.